If you want an interesting wedding story, get married in Palm Springs. For such a small town, nothing short of exciting happens here. These two started their day in the very normal wedding day way: invite some friends and family to the Air BnB they rented, have a few drinks, have the ceremony, eat dinner, and spend time with each other. But just like every wedding in Palm Springs, something crazy has to happen. These two got kicked out of their Air BnB before the ceremony, relocated to a new ceremony site, and found a new venue - all while being given 30 minutes to vacate the Air BnB. 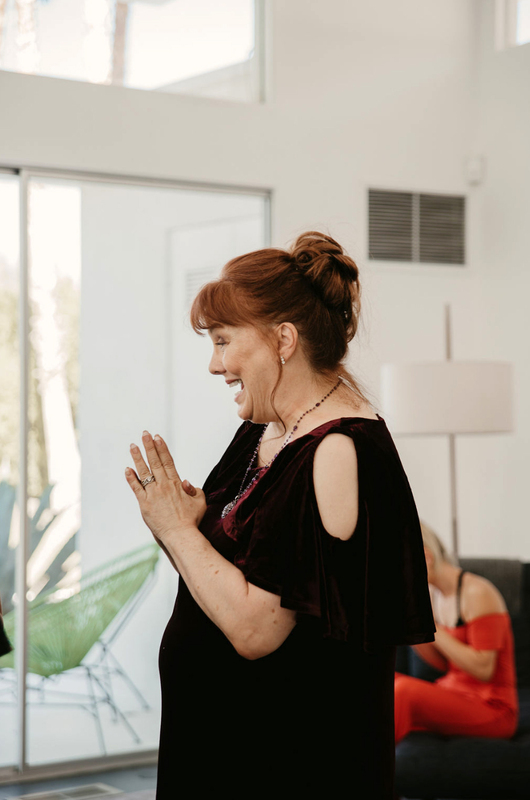 Despite the intimacy of this wedding, the small guest list, and quaintness of Sunrise Park - the new ceremony venue - their wedding felt like a huge, glamorous affair, amidst the cool breeze in the park and shaggy Palm trees. 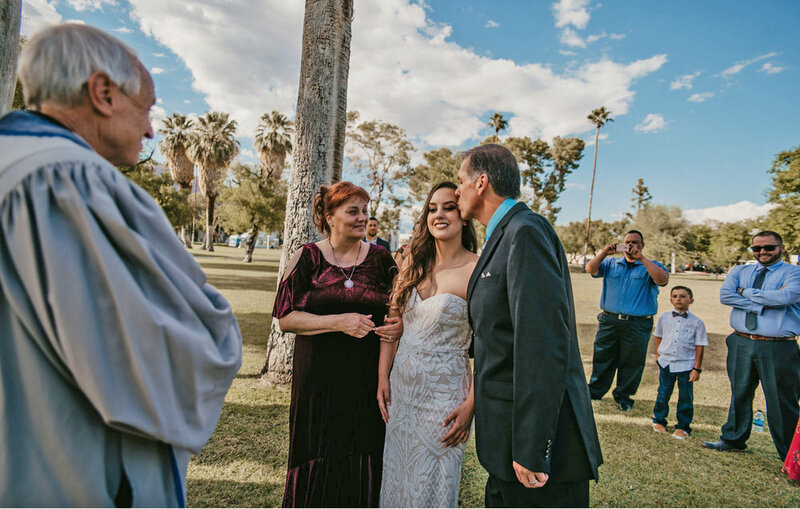 This wedding, just like every other wedding in Palm Springs, had surprises at every turn. It just goes to show that it truly doesn’t matter how large - or how small - your wedding is; the people, the memories, and the story are what make it special.